Commercial low slope roofing, commonly referred to as flat roofing, is usually found on commercial and industrial buildings, such as factories and warehouses. But many other commercial properties have them as well. The terms low slope and steep slope describe roof slope. The slope is how much a roof slants or the incline of the roof. Roofs to have some slope for proper water run-off or drainage. When it rains, water has to go somewhere. Water should not stay on a roof. In a commercial low slope roof, water is directed to drains. Use of small areas called crickets and saddles can help direct water to the drains. These roofs are all made to work well and keep your commercial building protected against the elements, but without the right company installing your commercial low sloop roofing, your property will not be well protected. 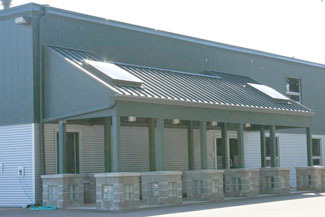 Single ply roofing systems are chosen for being the most effective solution when it comes to a commercial application. Single ply roofing systems have proven themselves as a preference for building owners as they have little or no maintenance costs. Commercial single-ply roofing definition says that these are flexible sheets made of plastic derived material that is compounded. Rely on us for a commercial single-ply roofing system for your commercial Lakewood area property. Consult our experts for commercial single-ply roofing details and about the viability of an installation on your commercial building. Choosing the appropriate single-ply roofing system is essential to ensure that your building remains comfortable and protected. Let us help you make the right choice for your Lakewood area property. 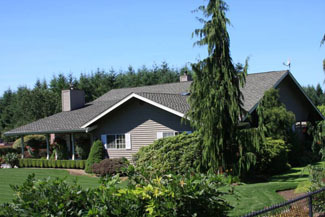 In the Lakewood area, we are the company to call to install single-ply roofing systems. As an expert roofing company, we have successfully installed single ply roofing for several business owners. 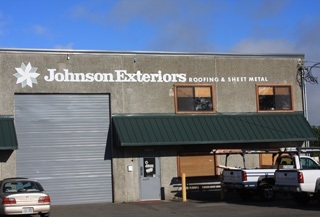 Get in touch with Johnson Exteriors for any commercial roofing needs in the Lakewood area. Call us at (360) 226-2521.